I'm a massive advocate of any kind of basic, unfeminine, non-fancy-schmancy jewellery. 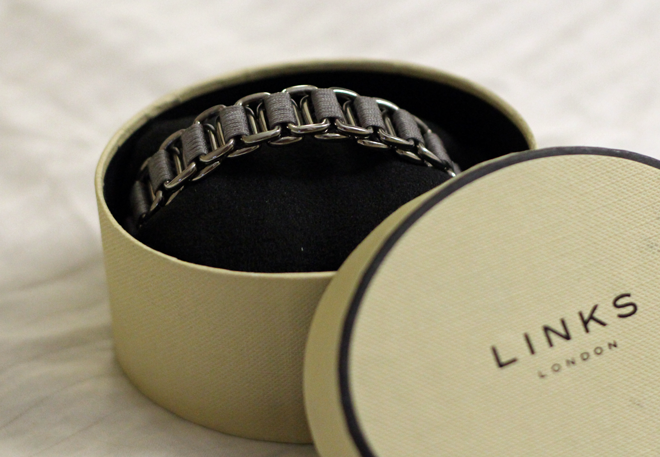 Hence this ruthenium Links of London bracelet fast becoming my go-to for accessorising. It's right up my street - simple, grey and dark silver. 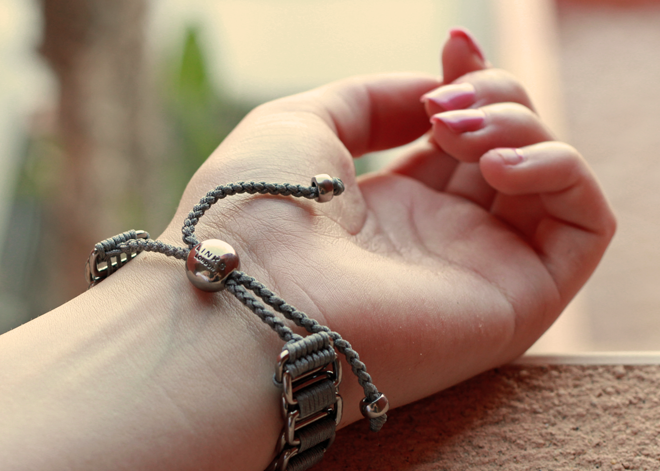 It's actually a men's piece, but the style means it fits my wrist perfectly. Each bracelet also comes in a lovely little box - making these not just a fab keepsake gift for big birthdays and the like, but it makes it harder to misplace (if you remember to put it back in the box..!). Ideal for absent-minded folks like me...! A lot of these are in the sale now, so grab a bargain before they sell out! oooh this is nice, didn't realise Links of London did pieces like this!